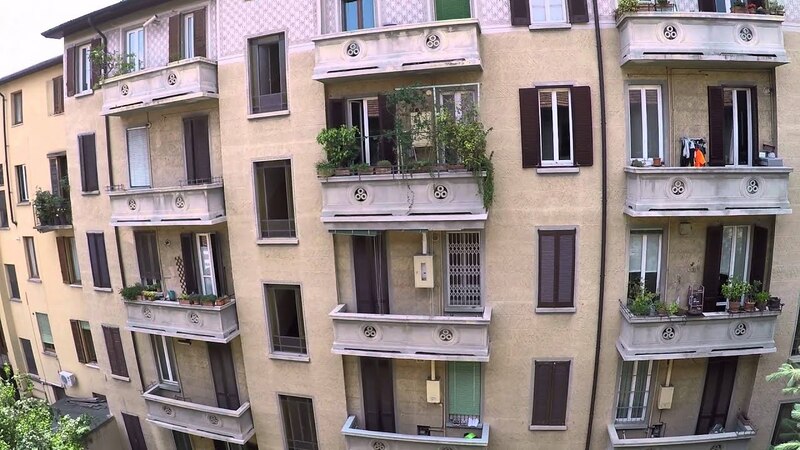 This spacious 2 bedroom apartment is available to rent near Politecnico di Milano. Situated on via Luigi Vanvitelli, the apartment is in the neighbourhood of Citta Studi. Find yourself surrounded by fellow students who have chosen to make the most of their university experience, just as you have! This apartment has 2 rooms for rent, one of which has 2 single beds that are to be rented separately. The first bedroom has its own desk, wardrobe and ample storage space. It also has a double bed and a window that opens up to the interior courtyard. The second bedroom is as spacious as the first, however it is a shared room that comes with 2 single beds, 2 desks and a wardrobe. The bathroom is clean and well-maintained with a washing machine and bath. Well-communicated to the city by underground and buses, this apartment is an absolute steal. The flat spans 75 sq m.
This apartment is located on the 3rd floor of a building which is equipped with an elevator. It has central heating and natural gas water heating. You can dry your clothes either on a rack or on the balcony. Wi­-Fi is installed and activated in the property. The living area shares it space with a fully equipped kitchen. Complete with a stove, oven, dishwasher, fridge and microwave, it is ready for immediate use! There also is a small balcony that leads out of the kitchen to a view of the interior patio.